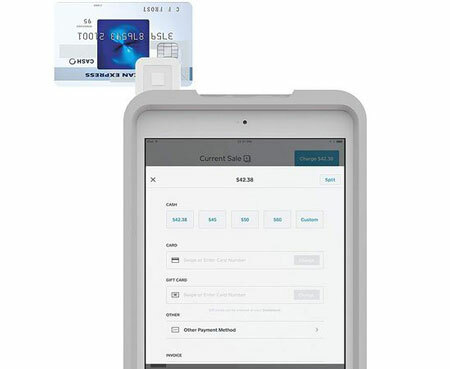 Kensington SecureBack Rugged Payments Enclosure: protects your iPad Air 2 and works with credit card readers such as Square, PayPal, and UniMag II. 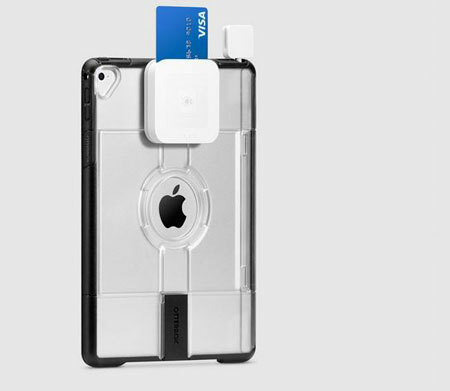 L7 Case for iPad Mini: a Square credit card reader case for your iPad that lets you accept payments and easily access all iPad controls. 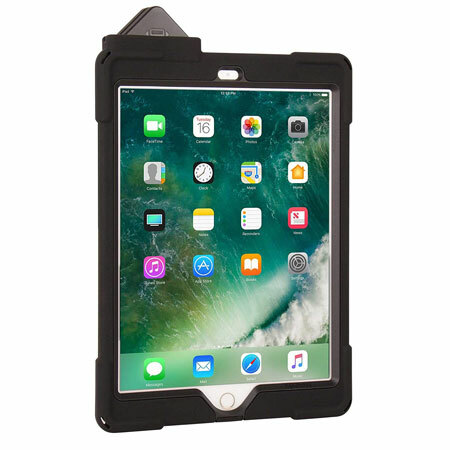 OtterBox uniVERSE Case for iPad Pro: this Square case for iPad works for contactless and chip cards. It has a synthetic rubber interior and hard polycarbonate exterior. Joy Factory aXtion M: a rugged, shockproof iPad case with PayPal Here card reader support. 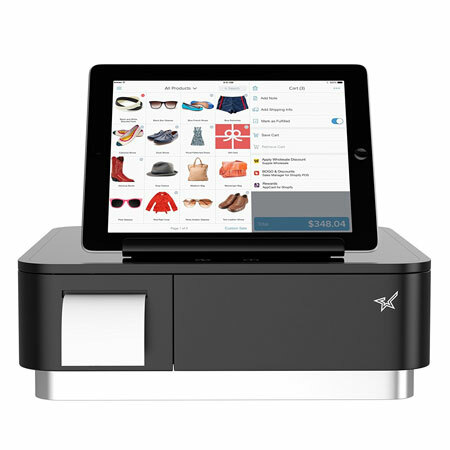 It is compatible with iPad 9.7 5th Gen.
Square Stand for iPad: a stylish iPad point of sale system with a USB hub to work with your receipt printer, cash drawer, bar code scanner, and other hardware. It lets you accept contactless payments in seconds. 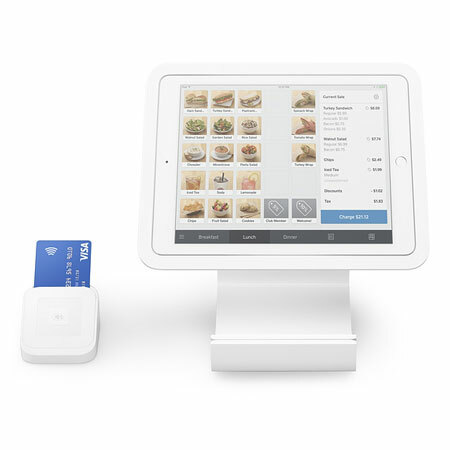 Epsilont MPBOP for Square Register: this iPad POS hardware is compatible with Square and Shopify. It serves as a stand for your iPad, Bluetooth receipt printer, and cash drawer. CTA Digital PAD-DSCK Dual Security Compact Kiosk: a metal security enclosure that keeps your iPad protected and supports popular credit card readers. You can mount it to a desk. 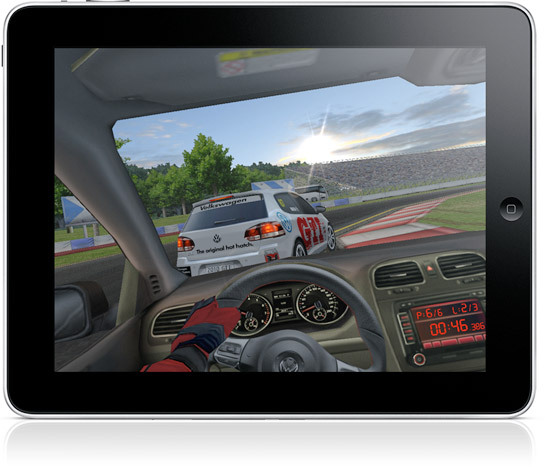 tablet, or any flat surface. 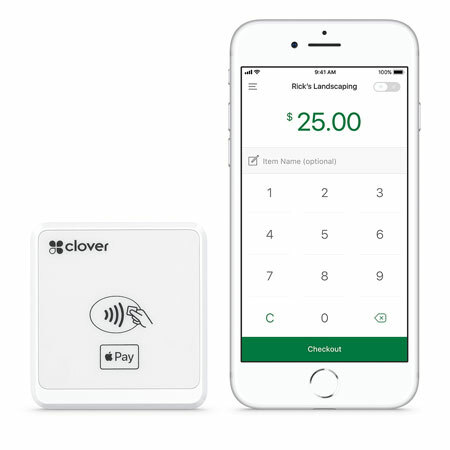 Clover Go Credit Card Reader: an Apple Pay, chip, and swipe card reader that works with your iOS device for payments on the go. It also provides you with a reporting and analytics platform to help you understand your customers’ buying habits. 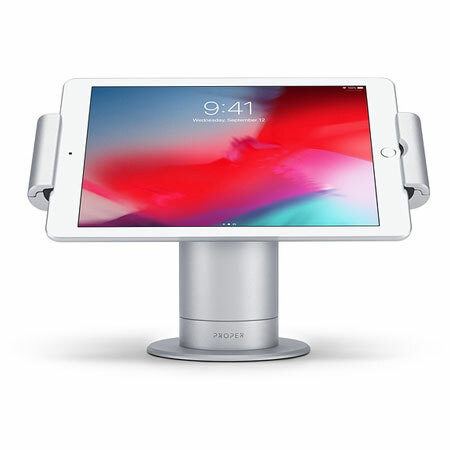 Proper Swivel Stand: an MFI-powered device that combines with your smartphone to let you accept payments, display information to your guests, and a whole lot more. 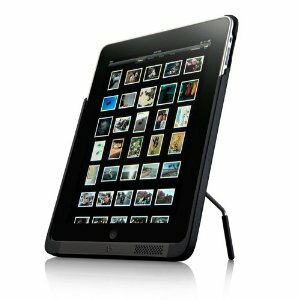 It has a weighted design and supports height and screen angle adjustment. 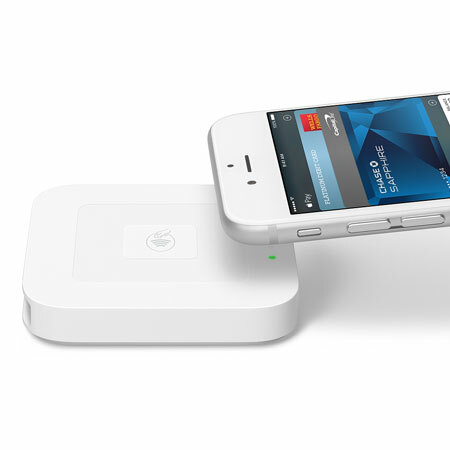 Square Reader + Apple Pay: a compact module that lets you accept NFC transactions. 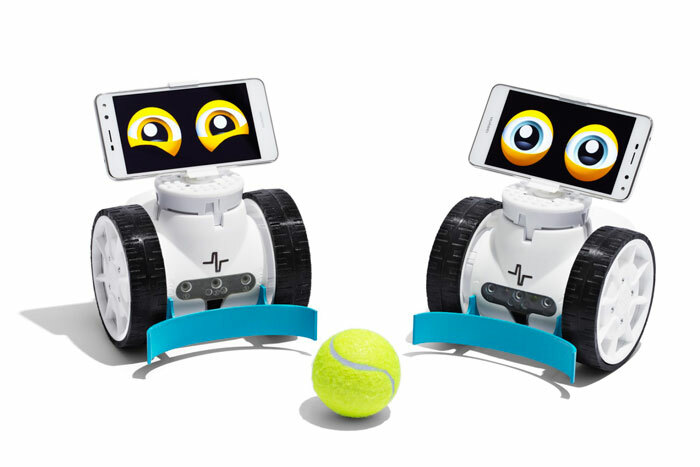 It connects to your iPhone or iPad wirelessly. WindFall iPad Point of Sale bundle: works with your iPad Air 1/2, iPad Pro, and iPad 5/6 to let you accept payments at your store. It supports a wide variety of card readers. 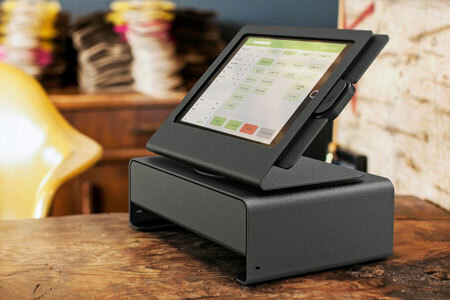 Have you found better iPad point of sale accessories? Please share them here.